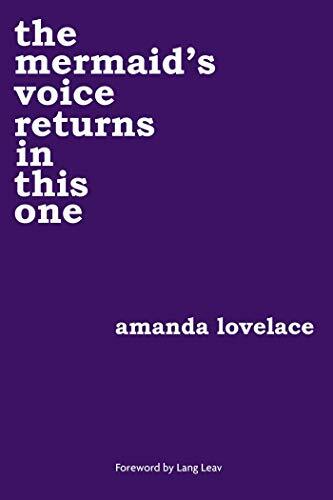 Goodreads Choice Award-winning poet and USA TODAY bestselling author Amanda Lovelace presents the mermaid’s voice returns in this one — the third and final installment in her “women are some kind of magic” series, featuring a foreword from Lang Leav and 13 guest poems from leading voices in poetry such as Nikita Gill, KY Robinson, and Orion Carloto. The mermaid is known for her siren song, luring bedroom-eyed sailors to their demise. However, beneath these misguided myths are tales of escapism and healing, which Lovelace weaves throughout this empowering collection of poetry, taking you on a journey from the sea to the stars. They tried to silence her once and for all, but the mermaid’s voice returns in this one.